Last week I spoke on the “Overcoming Operational Barriers to Optimization Implementation” panel at Optimization Summit. The buzz was loud there, the birds were flapping their wings, the bees were swarming, everyone was talking about Landing Page Optimization. And on, and on, and on…but none of this is landing page optimization. Even if you tripled your sales by taking my advice, implementing what you saw in a webinar, or going live with a new design provided to you by an Internet marketing company, you still have NOT optimized a page. Wait a second. I made changes to my landing page that worked!! I just sent my boss a report that showed conversions up 150% since last week!! My page looks and is performing much better than it has been in the past. What do you mean, I didn’t optimize my page? Webster’s defines the word “optimize” as making something “as perfect, effective, or functional as possible.” Is a 150% increase the “as perfect as possible?” It may be, but how in the world are you going to know that? What if, out of your own control, a news story just broke revealing your type of product to be the next big thing? Was it your changes or the increase in demand for your product that drove up conversion rates? If you’re on cloud nine, happy as can be with what you’ve just done, then you have not optimized your page and are NOT an optimizer. Oh I get it. You’re talking about running a landing page test. I’ve done that. Our current landing page for our biggest PPC campaign is one that we ran an A/B test with and it did better than our original. I optimized my page, right? Convincing your organization to take the leap of testing is a big one. Getting the buy-in from the top, dedicating technology resources, challenging the status quo…these are all tough barriers to get past. But if you conducted a landing page test and improved your page, you still have not optimized your page and are NOT an optimizer. One thing that you must realize is that “testing” is a process, it’s a journey, and it’s a “NeverEnding Story.” If you are not constantly testing, trying new things, striving towards perfection, then you aren’t testing. You have to develop a testing plan and not give up hope, or else “The Nothing” will continue to spread across the company. We started testing in Q3 of last year, but failed to get a positive result after a few months, so we decided to stop testing. I certainly tried to optimize our landing pages, right? The only test that is a failure is one that did not yield a learning. That’s why it’s so important to have a proper research question for each test and intelligent design of experiments. You are kidding yourself if you think you will get a win every time, but you have to be making forward progress, figuring out what works and what doesn’t work. What if you absorbed what happened during the first three tests and blew the fourth test out of the water? You would have been very disappointed if you had stopped testing after three tests. If you’re in the habit of simply making changes to your landing page whenever you have a new idea or hear something that could work, then by testing you are at least avoiding the risk of sending 100% of your traffic to an underperforming landing page. 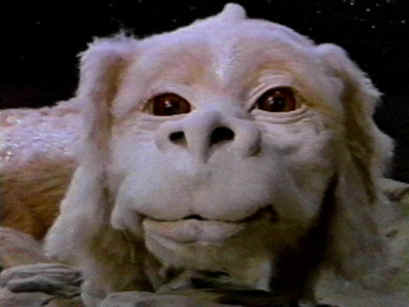 I referenced “The Neverending Story” earlier in this post because I think we all have to be like Atreyu, embarking upon a quest to find a cure, a treatment for our landing pages. There will be stumbling blocks along the way and you’ll even have your fair share of luck (with help from Falcor the luckdragon), but we can’t let the “nothingness” that may be symptomatic of the company infect us. In fact, through testing we have the opportunity to change the culture of the company. So is it possible to optimize a landing page? The answer is yes, but only through the testing process. Once you commit yourself to go on that never-ending journey, not being content with your successes and learning from your failures, then and only then, can you truly optimize a landing page. B2B Marketing Summit: Join us in Boston or San Francisco to learn the key methodologies for improving your conversion rates. Well, I think you are focusing too much on the technicalities of language rather than quantitative approach. We need an English grammar professor or linguist to help us out here. For common folks like me, landing page optimization is process or activities you do to make it better than it was before. So if I have old page and new page with user reviews and it seems to convert same PPC traffic by 30% better then it is a progress and improvement in this optimisation process as I’m getting more optimal results than before, so my page is now more optimised for that traffic than before. Unless you want to shift it towards that copy was optimised, not the page. I’m a bit upset as I spent time reading and now writing this post. Hi Sandy. Great point in that our goal should be to make a page better, and if you do that then it’s a success for you. 30% more conversion is great! There’s nothing wrong with being a marketing manager like that of A, B and C. More often than not, you have your hands tied behind your back and all you can do is make incremental and sequential changes because of technological or operational barriers. Testing isn’t something everyone can do, but it should be something everyone aims to do. Though, I do think Sandy’s comment is valid. Many marketers today use the term “optimization” to mean “making things better” rather than as you are defining it “making things perfect”. Depending on which definition you use, optimization may or may not have occurred for all three manager examples. Optimization is an evolving word, especially as it develops a marketing meaning (similar to other words marketers use like Friction). Already, Wictionary is defining it both ways (http://en.wiktionary.org/wiki/optimize).